Prof Lucia Banci is one of the award-winners of the first edition of the "Mother Science" Award (Premio "Scienza Madre") promoted by the National Institute for Infectious Diseases Lazzaro Spallanzani. 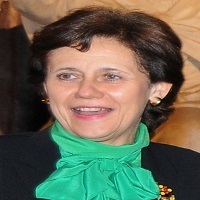 Professor of Chemistry at the University of Florence, Lucia is the only Italian to be awarded the recognition, also attributed to Emmanuelle Charpentier, Director of the Department of Infectious Biology of Max Planck in Berlin, and Laurence Zitvogel, Professor of Immunobiology at the University of Southern Paris. The "Mother Science" award is awarded every year to three women who have distinguished themselves in the field of research and science, to women who are well known in the world of work and culture and who symbolically - as women - represent the future. The award was created to pay tribute to women who have dedicated their lives to research in the medical field, achieving important goals.